Work on the new Haribo of America campus and an Advocate Aurora Health Care Center facility in Pleasant Prairie sites was marked with a special ceremony Tuesday. 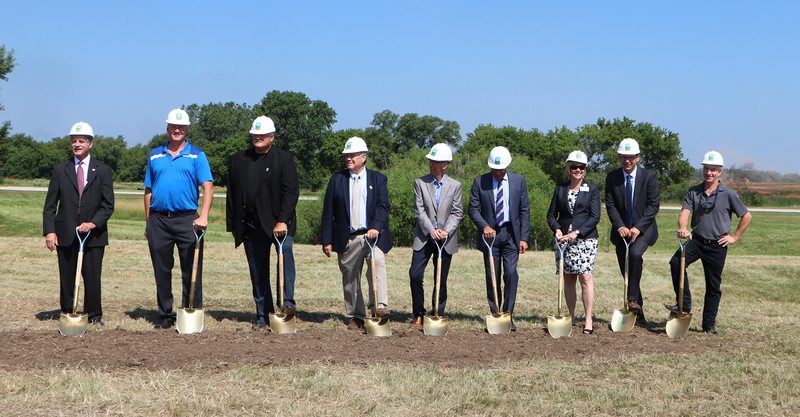 The village hosted a ground-breaking ceremony for the two facilities with officials from Haribo, Aurora Health Care, the Kenosha Area Business Alliance, Milwaukee 7 and the Village Board. Haribo, the candy company based in Germany, and Aurora will be the first two tenants in the Prairie Highlands Corporate Park. It is on the opposite side of Interstate 94 from the LakeView Corporate Park where many companies located, bring more than 8,000 new jobs, according to the village.